Throwback to 2011: Amy Ring. 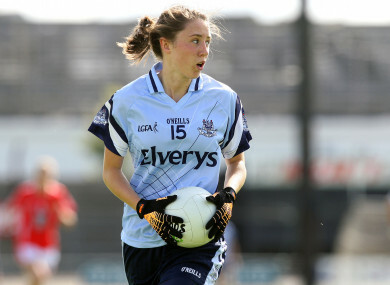 From the outside looking in, one might wonder why she’s not involved with the Dublin set-up but a spate of injuries, particularly ongoing knee issues, saw Ring call time on her inter-county career in 2016. Dad Pat, who shares team management duties with Peter Clarke, explains: “She (Amy) had to make a very conscious decision two years ago. “She had tendonitis in both knees, and had one operated on. Rather than have an operation on the second one, she’s been managing it. Email “'She had to make a conscious decision' - Fox-Cab boss Ring praises injury-plagued daughter”. Feedback on “'She had to make a conscious decision' - Fox-Cab boss Ring praises injury-plagued daughter”.